The challenge for first generation universal supports was that complete dephosphorylation using ammonium hydroxide, AMA or anhydrous methylamine gas takes longer than most companies wish to allocate. A more recent development has been the use of a support based on a molecule which is "conformationally preorganized" to accelerate the dephosphorylation reaction. By using a rigid bicyclic molecule on the support, the rate of elimination is markedly faster than earlier universal supports. 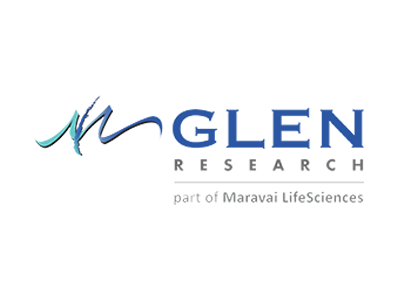 We are happy to offer Glen UnySupport in a variety of popular formats under license from Ionis Pharmaceuticals. The extended time required to cleave the succinate linkage of the original Glen UnySupport can be problematical, especially in high-throughput production of oligos, due to the outgassing of ammonia and/or methylamine. Using a diglycolate linkage in Glen UnySupport FC instead of the succinate in Glen UnySupport, a significant increase in the rate of cleavage has been achieved. With the cleavage time of Glen UnySupport FC reduced to less than 5 minutes with AMA, there is minimal loss of volatile gas. We offer Glen UnySupport FC attached to 1000Å CPG in a variety of formats suited to high throughput synthesis, as well as in bulk for more routine use. This product is covered by US Patent 7,202,264 owned by Ionis Pharmaceuticals, Inc..